A dream location full of fun, relaxation and luxury. You can find all this in the thermal heart of Liptov – the new Bešeňová. There are 18 outdoor and indoor pools with thermal or crystal-clear water ranging up to 40 °C, 15 different slides, a water volcano, the possibility of deep sea diving or enjoying an extraordinary sauna world. The Bešeňová thermal water, reddish-brown in colour, contains a great deal of minerals, which will benefit your skin, as well as musculoskeletal and respiratory systems. Bešeňová is also a perfect choice for families with children. It is a 5 * resort full of fun during the winter as well as in the summer. There is an 8-seater chair lift, ski lifts and four lifts for beginner and children directly in the centre of the resort. There are also excellent cycling trails here, which total more than 300 km, a professional bike park, mountain carts and scooters, a zip line, aqua zorbing or Tarzania. In the winter, the resort offers great skiing conditions; cross-country skiers, hikers or ski mountaineers will also come into their own throughout the area. The fun never ends at this resort. Vlkolínec is a permanently inhabited settlement in the mountain foothills with typical log cabins. The village was declared a UNESCO World Heritage Site in 1993. Some of the rare buildings in Vlkolínec include the two-storey log bell tower from 1770, the log windlass well from 1860, the brick Baroque-Classicist Church of the Visitation of the Virgin Mary from 1875 or the “Farmer’s House”. The village is a year-round attraction with great traditional culture and a true image of life from the turn of the 20th century. Liptovská Mara is a waterworks between Liptovský Mikuláš and Ružomberk, which is also called “Liptov Sea”. It is a part of the Vážská kaskáda system of reservoirs. Mara Camping in Liptovský Trnovec is located on the lake’s shore. The nearby beach, sports equipment rental shop, marina and excellent opportunities for yachting and windsurfing create a sought-out summer recreation facility, which also serves as a tourist base camp for the Choč Mountains and Western Tatra Mountains. 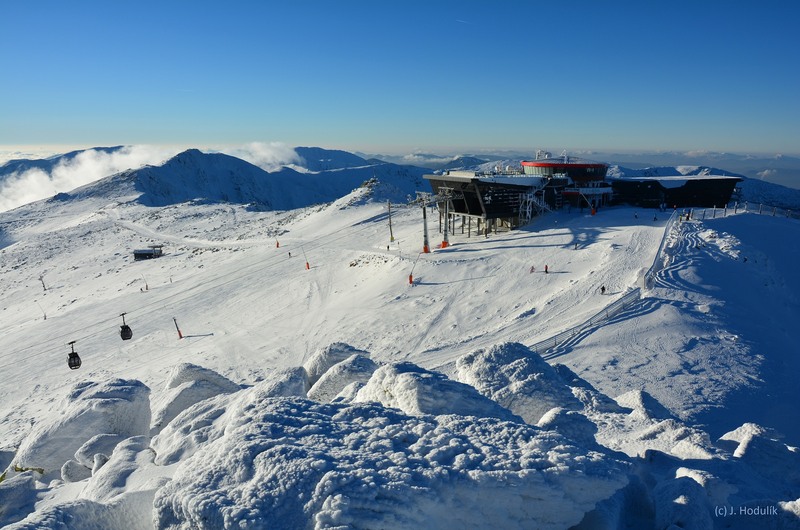 It is the largest and TOP ski resort in Slovakia. It is situated on both sides of Chopok (2,024 m above sea level). There are 13 chair lifts and 10 ski lifts here. The total length of the ski slopes is approximately 49 km. The skiing conditions as well as complementary services are at a high European level. In the summertime, there is a rental shop for e-bikes, mountain carts, and a maxiland summer park with plenty of attractions. 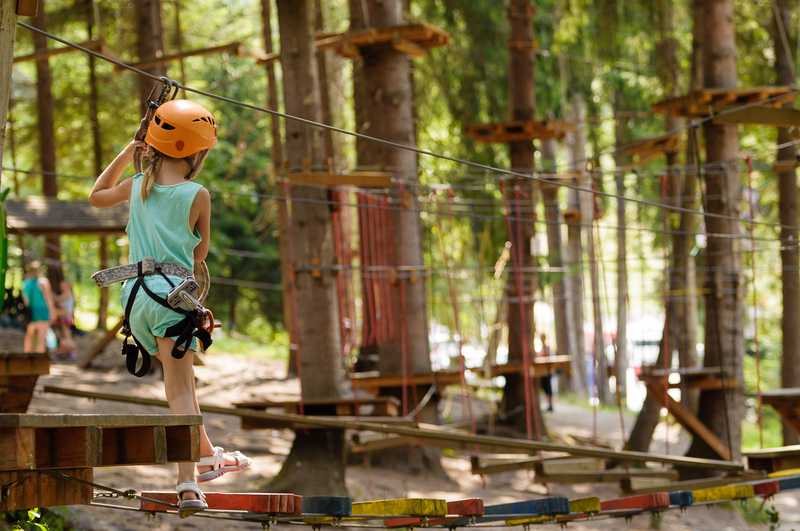 Jasná is the centre of adrenaline, sports and incredible experiences. The unique ZOO KONTAKT in Slovakia is a place, where visitors get to know the world of animals up close. You can find more than 400 animals of 115 species here. 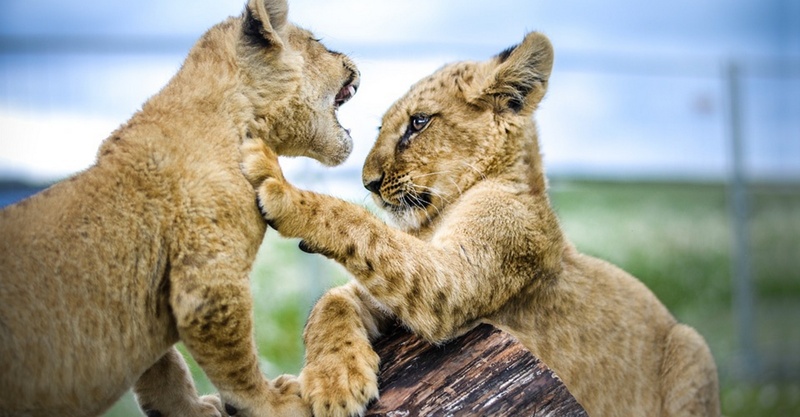 It is very interesting to watch the young beasts of prey up close – bear, lion, tiger, puma, serval and lynx. During your time at the ZOO, you can feed and take pictures or shoot a short video with the animals. Children can ride horses or ponies. The number of animals and species at the ZOO is constantly growing and is full of experiences 365 days a year. It is the largest water park in Slovakia and is one of the largest water parks in Central Europe. The expansive facility includes 13 pools (8 of which are run year-round, 3 are indoor) with a water temperature up to 38 °C, 29 water slides (9 slides operated year-round, 20 seasonal slides), the Celtic Tatra-Therm-Vital sauna world, Wellness Paradise with offered wellness treatments, the indoor Island of the Pirates of the Caribbean, Summer City with summer-themed attractions. Tatralandia is a true water paradise on Earth.